A mother is the one who knows how to juggle things around. She can multitask and can handle many things in one go, whether it’s household work or office work. Similarly, she can help you manage cards in better way while playing 13-card rummy or 21-card rummy. There would be times when you don’t realize that you already have a set or sequences, and your mom can help you organize your cards in hand when you are playing any of the online rummy variants. She can even help you make optimum sets or sequences so that you do not lose much points in case you lose the game. Mothers are the one who are not only good in organizing house, they are also perfect in saving money by making proper investments. You must have seen your mom paying household bills, buying luxury items and still managing to save money. Online rummy is a game that you can play with real money as rummy has been legally declared as a skill game by Supreme Court of India. So, even if you invest as low as Rs. 100, you can earn thousands in return, and you will hardly find such authentic games that promise such a huge turnout in return. Though women are considered worst in mathematics, but that’s not true at all. Ever asked your mother and father to solve a mathematical query? Your mother will definitely do it quickly and correctly because mathematical calculations are a part of their daily life. 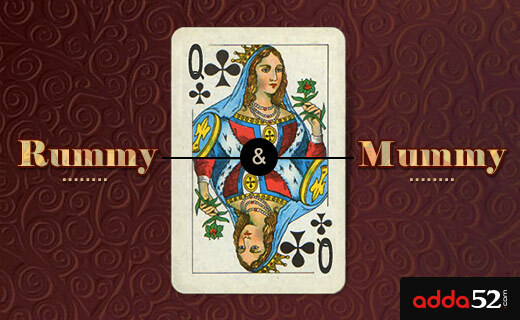 So, anytime you are stuck while playing online rummy, call your mom. Even if you do not understand the points calculation, don’t feel shy to take your mom’s help. Do you like shopping? On any occasion have you gone for shopping with your mother? Did you notice her bargaining skills? Mothers are born businessman as they can draw benefits from every thing in this world. Whether it’s about taking advantage of new item or putting to reuse an old item, she will employ every technique to reap benefits. Likewise, you can use jokers in online rummy to win the game. You should skillfully use jokers while making sets and sequences because adding jokers in a meld reduces your points. Thus, if you have that joker as one of your hands, use it artfully in order to get maximum benefits. Mother is good in reading her kids. She can easily guess when you are telling a lie, when you are falling sick or when you are losing motivation. She can also know in advance if any problem is going to occur in the life of her loved ones. Correspondingly, while playing rummy games, you need to be trained in reading your opponent’s hands. And this requires strong concentration and observation skills and your mother is a master in these skills. Hence, if you face issues anytime reading your opponent and analyzing his/her game moves, you can turn to your mother and she will definitely advice you the best. Mothers are really the greatest gift from God as they possess far-fetched wisdom and outstanding insight and skill. You can look up to her or channel her skills when you are playing online rummy.